Question Time, the BBC's premier political debate programme chaired by David Dimbleby was in London on Thursday 24 April. The panel included the three main candidates in the London mayoral election race: Ken Livingstone, Boris Johnson and Brian Paddick. 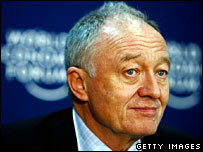 Career: Ken Livingstone has been Mayor of London since 2000. He originally ran as an independent candidate, having been expelled from the Labour Party for opposing their official candidate, Frank Dobson, but was re-elected as the Labour candidate in 2004. After working as a technician for Cancer Research and training to be a teacher, he entered politics in 1971 as a Labour member for Lambeth Council. In 1973 he was elected to the Greater London Council (GLC) and became its leader in 1981. Under his leadership, the GLC was regarded as a hotbed of left-wing radicalism, which regularly clashed with the Conservative government until Margaret Thatcher abolished the council in March 1986. From 1987 to June 2001, he served as Labour Member of Parliament for Brent East. Upon his reintroduction to the Labour Party in 2004 and his re-election as mayor later that year, Tony Blair retracted his initial statement that Livingstone would be a "disaster" for London, saying: "I think I should be big enough to say the prediction I made... has not turned out to be right." Hoping to be re-elected on the basis of his past record, he says: "One thing I'm clear about is that London is now more successful than it was and that our job is to continue to help all Londoners take part in that success." "My most central pledge at this election is that I will work to ensure that London continues to be successful; that I will not rely on the myth of automatic "trickle down" to ensure every Londoner shares in that success but take practical measures to ensure they do and that London will tackle the great environmental problems - above all climate change - to ensure that our success is sustainable." 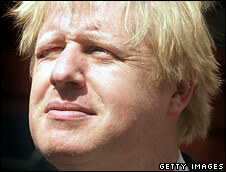 Career: Boris Johnson is the Conservative Party's candidate for London mayor and one of their most recognisable MPs. He entered politics in 2001 when he succeeded Michael Heseltine as MP for Henley and is also well known as a journalist and television personality. He was editor of the Spectator from 1999 to 2005, resigning to become David Cameron's shadow higher education spokesman. He continues to write a column for the Telegraph and also regularly appears on television, most famously on the BBC programme Have I Got News For You. Former Tory leader Michael Howard sacked Mr Johnson as shadow arts minister in November 2004 after press reports that he had misled the leader over rumours of an extramarital affair. He is pledging to introduce "a new style of government in London," claiming that he will be "the mayor who listens to Londoners". "I want everyone in this city to have the optimism and confidence that goes with increased safety." 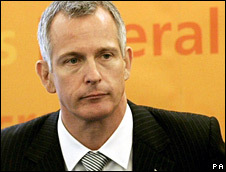 Career: Brian Paddick is the former deputy assistant commissioner of the Metropolitan Police and is the Liberal Democrat candidate for London mayor. He joined the Met in 1976 and held a number of senior posts before becoming deputy assistant commissioner in November 2003, a role in which he oversaw territorial policing across all 32 London boroughs. In 2002, as commander for the London Borough of Lambeth, he came under fire for instructing his officers not to arrest or charge people who were found to be in possession of cannabis, a policy which led to him being labelled "soft" by some newspapers. He has pledged to cut crime by 5% in each year of his first term in office and is hoping that his experience of fighting crime in London will win him votes, saying: "I have worked on the streets serving Londoners. I have managed large budgets and large teams of people to deliver real reductions in crime and making people safer." He claims: "Livingstone did make a difference in his first four years in office, but he's gradually lost touch with Londoners. He is not listening any more. "He's surrounded by personal advisers pursuing their own personal agendas. We need somebody who is prepared to act on what London's priorities are, not what the mayor or his own advisors are saying Londoners should have."